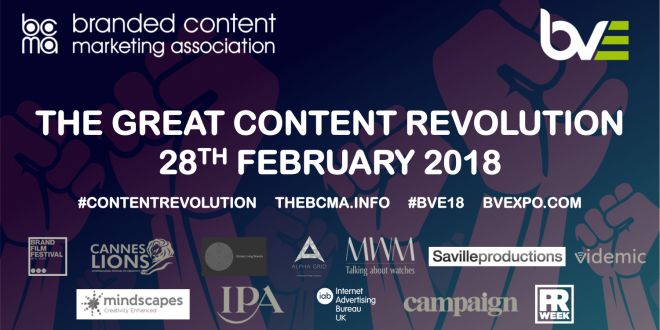 We are excited that the BCMA Event at BVE, The Great Content Revolution is taking place on 28th February 2018 at ExCel London. 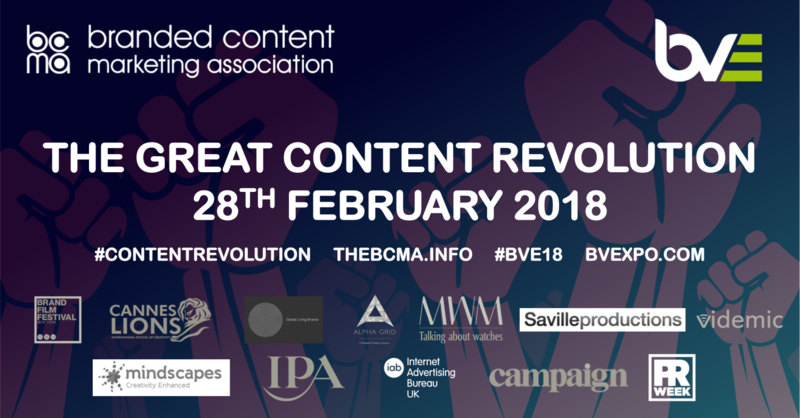 This year’s theme at BVE is We are all creators which aims to transform the world of media and entertainment with thought-provoking ideas and ground-breaking innovations. Brands creating entertaining and engaging Content appears in new formats, new channels and from new creators every second of every single day. Brands become Publishers, Retailers become Broadcasters, Individuals become Channels. Users generate Content and we can access them anywhere, anytime and anyplace. We are at the start of the Great Content Revolution. So, where are we heading, how do you do it brilliantly and what is it worth? We have assembled our most diverse line-up of experts from the world of brands, entertainment, production and academia to featuring Lucie Cave, Editor-in-Chief, Heat Magazine, Elliot Grove, Founder, Raindance Film Festival, Carrie Osman, Chief Provocateur & Founder, Cruxy & Co, Professor Jonathan Hardy BA MA PhD FHEA, University of East London, Cat Jones, Global SVP, Data, Unruly, Chris Gorell Barnes, Founder/CEO, Adjust Your Set to name a few. The event has full CPD Accreditation.